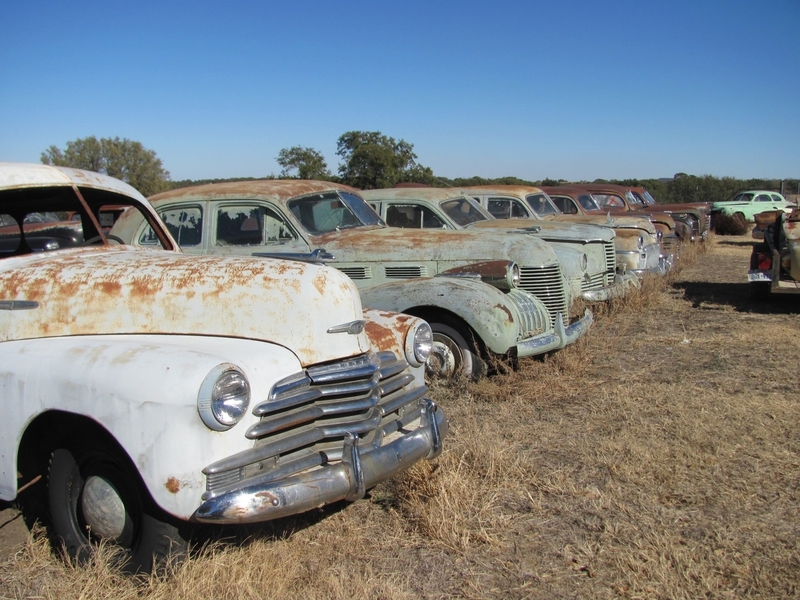 Texas Rusty Rides Photo Picture Classic Cars for sale & Classifieds - Buy Sell Classic Car & Classic Truck Classifieds. Line 'em up There's about 50 old cars behind this barn and a lot of them were completely painted with house paint back in the 60's guts, feathers and all. Windows, chrome stainless, wheels and even the tires. There not barn finds but is is amazing how well it preserved them from the Texas sun!! THIS IS AMAZING!! THOSE ARENT RUSTY. IM GOING TO DRIVE OUT TO TEXAS AND TRY TO LOOK FOR THESE AMERICAN CLASSICS! !